Aramith Carom Super Tournament Set of 61.5mm Balls. 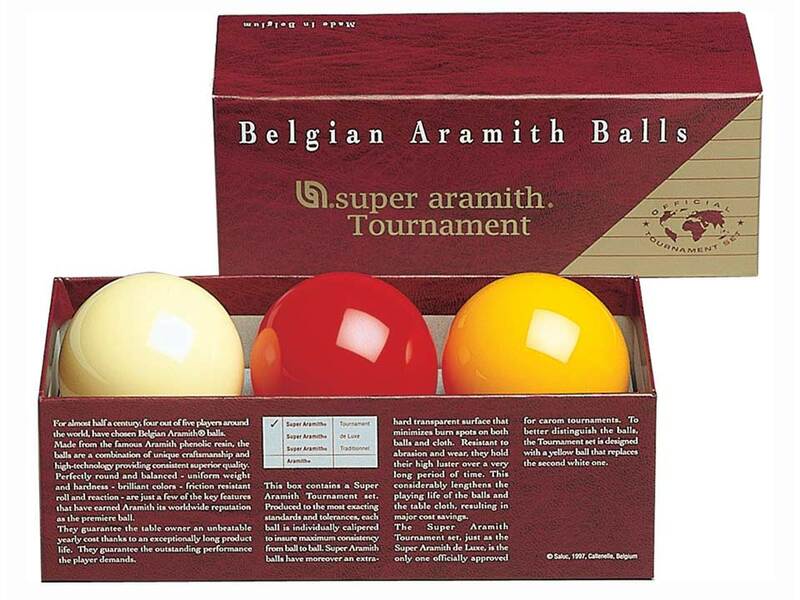 Aramith billiard balls have enjoyed a legendary reputation for outstanding endurance and uncompromised quality. They are the only ones in the world made of pure phenolic resin, making them last up to 5 times longer than other balls made from polyester or other polymers. The extra hard vitrified phenolic surface on these Aramith billiard balls drastically reduces wear and burn spots on both the balls and pool table cloth, guaranteeing the lowest cost over time. This set of premium quality Aramith billiard balls includes one plain yellow ball, one plain white ball and one red billiard ball.